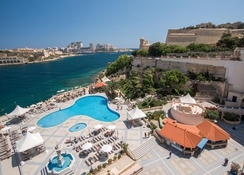 A universe of classic luxury, comfort and exclusive services is what the Grand Hotel Excelsior Malta offers, a five-star hotel located next to the perimeter of Valletta, in Floriana, Malta. The hotel has luxury facilities, including a private beach area, heated outdoor swimming pools, several restaurants and bars. It also features a wellness centre that includes an aesthetic centre and a gym. In terms of luxury services, guests can request a high-end car transfer with driver, rent a motorcycle, bicycle or car or exchange currency at the reception. The rooms introduce guests into a universe of exclusive luxury, which includes air conditioning, one or two bathrooms, high quality upholstery and fabrics, several balconies and terraces in some of the rooms, as well as a dressing room. Those travelling for business can make use of the hotel’s fifteen rooms and halls that are exclusive for meetings. The rooms and halls can also be doubled as party halls for parties and celebrations. 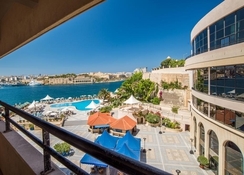 The Grand Hotel Excelsior Malta is located in Floriana, at the gates of the beautiful city of Valletta, in Malta, a town that has been declared a World Heritage Site by Unesco. 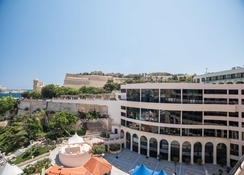 In Valletta there are numerous museums and art galleries, as well as shops with handicrafts. About 25 minutes from the hotel is Mdina, an ancient city with buildings of Baroque and medieval origin, while Rabat is half an hour away. Those who wish to approach the rural world of the island have a good example in Mgarr. 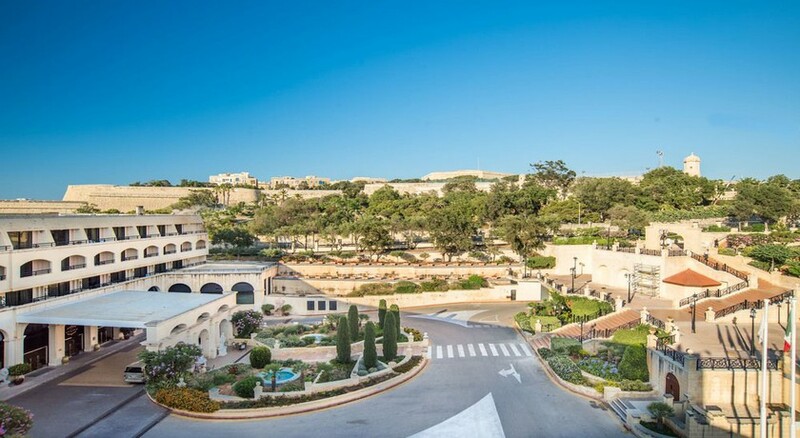 The Malta International Airport is 7.5km from the hotel. 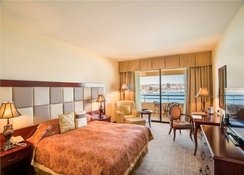 The 429 rooms at the Grand Hotel Excelsior Malta offer breath-taking views of the beautiful city of Valletta as well as the sun, sand and sea. All rooms come with air conditioning, television, safe and hypoallergenic bedding. Some of the rooms have one or several terraces or one or more balconies -although some high-end suites have both, as well as coffee & tea making facilities and a minibar. The bathroom has a bath or shower, or both, and has a bathrobe and a hairdryer. In addition, some of these rooms have connecting bedrooms, or with a dressing room and lounges. For an evening of fun, entertainment is much needed. Hence a bar and a hot live music program is available for this purpose in the hotel. Join the crowd and enjoy a lively evening in the surrounding bars and pubs. There are also exciting restaurants only 200m from the hotel. 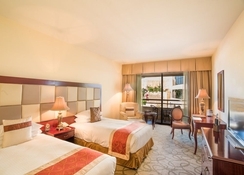 Both early birds and night owls will find limitless fun and entertainment at the Excelsior Grand hotel. Restaurants at the hotel include Spice Island, Admirals Landing and the Tiki Bar and Restaurant. 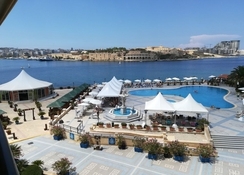 The hotel features its own dock and a private beach and has several swimming pools, some of them indoor and a few outdoor. In addition, this hotel offers a wealth of information about the island and organises excursions throughout its territory, as well as various leisure activities, many of them aquatic - diving courses, for example. The Grand Hotel Excelsior has a wellness centre, which includes a gym and beauty services. The hotel has Wi-Fi in the common areas and with various services, such as laundry, currency exchange, rental of motorcycles, bicycles and cars and chauffeur services with a high-end car.